MASSIMO sandwich loaf with wheat germ, which recently entered the bread market, is a homegrown sandwich loaf that promises wholesome goodness. The sandwich loaf packaging bears three colours — green, white and red — the same colours found on the Italian flag. Marketed under the brand name Massimo, it denotes luxury and prestige, synergising traditional style with modern design. The Massimo bread is baked combining the traditions of Italian baking passion with modern day techniques. All natural: Chang standing next to a conveyor belt that sends out freshly baked bread at the new baking plant in Pulau Indah, Port Klang. “We decided to adopt the Italian approach as they are known to take great pride in, and are very passionate about, food, especially in the use of fresh ingredients to ensure that it is wholesome and healthy,” said Italian Baker Sdn Bhd general manager and director Jimmy Chang. An investment of RM120mil was spent to set up the new baking plant in Pulau Indah, Port Klang where Federal Flour Mills (FFM) is located thus enabling easy access to the raw ingredients required for the baking process. Chang added that state-of-the-art machinery from the United States and Europe was brought in and installed in phases with a local team that worked closely with the overseas experts. Getting popular: Buns and breads under the Massimo brand name are doing well in the Klang Valley. 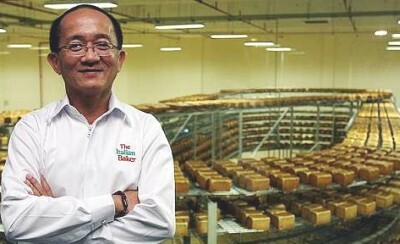 “Our combination of bread-baking passion and technology results in the production of superior quality bread filled with wholesome goodness,” he said. Chang added that people wanted foods that contained the freshest and most nutritious ingredients yet still within their budgets when they went grocery shopping. 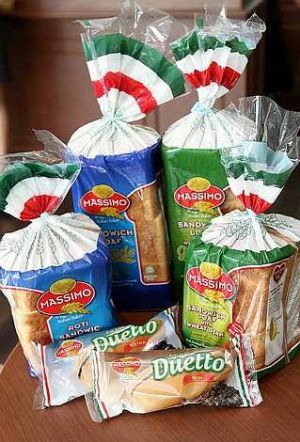 “With this understanding of their lifestyle and realising the increasing costs of basic staples such as bread, we decided to introduce Massimo,” he explained. Chang said the sandwich loaf not only tasted good but also came with a host of health benefits due to the wheat germ it contained. He added that wheat germ was regarded to be healthy as it is full of minerals and vitamins. If consumed on a daily basis, it can help lower cholesterol levels, reduce the risk of heart disease, combat certain cancers and improve the body’s immune system on the whole. “Our bread is baked with total dedication to quality and ingredients and adheres only to the highest standards,” added Chang.